Originally published at Stefan Hürlemann — Designer. 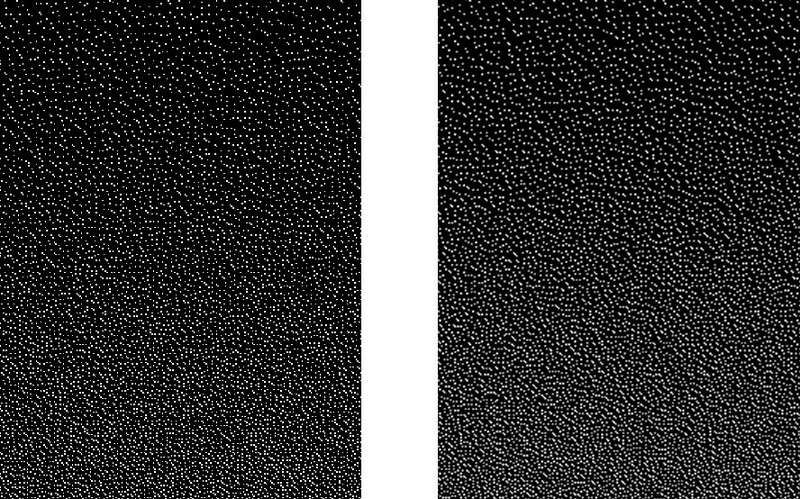 Gradient example created in five minutes with this technique. As my projects on Instagram and Behance grew in popularity, there have been a lot of personal messages and requests to explain in a tutorial how to recreate the gradients used in them. Risograph style, noisy gradients, spreckled gradient tutorials, I’ve researched them all but I couldn’t find a good, free tutorial that explains properly how to create these styles in photoshop. So, here is my take on it. One Example of how to use this technique (from 36 days of Type 2017). In preparation of this tutorial I have been playing around with a few different techniques on how to create them in Adobe Photoshop CC 2017 (it should work the same in every version from CS3 upwards). 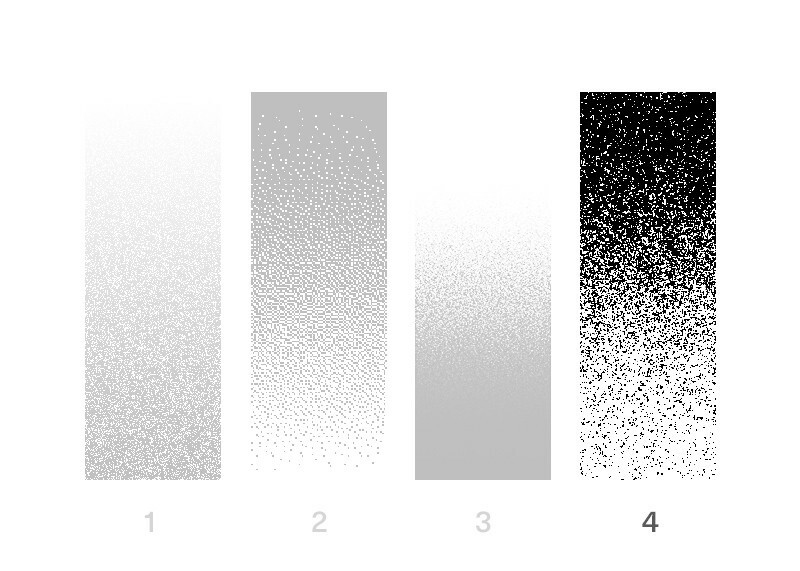 For the sake of simplicity I will use a simple black-to-white gradient for this tutorial. 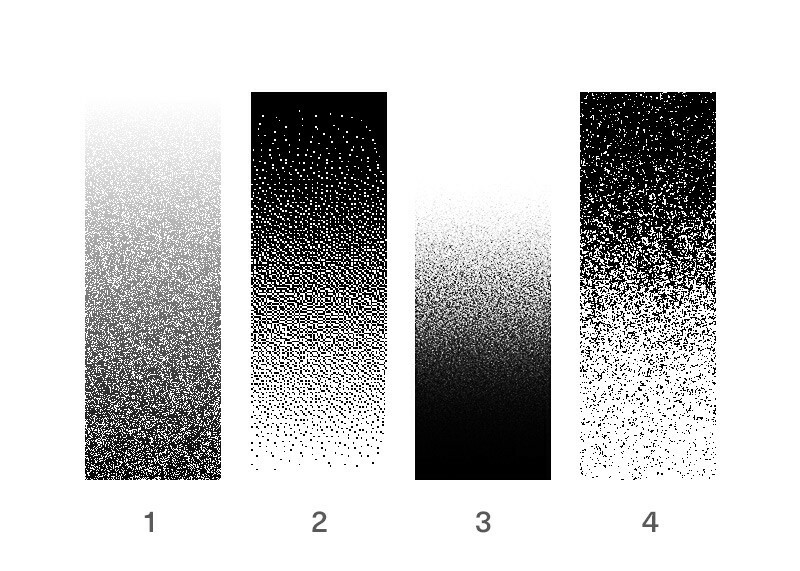 4 noisy Gradients made in Photoshop, each with a different approach. The base was the same black-to-white Gradient in each one. 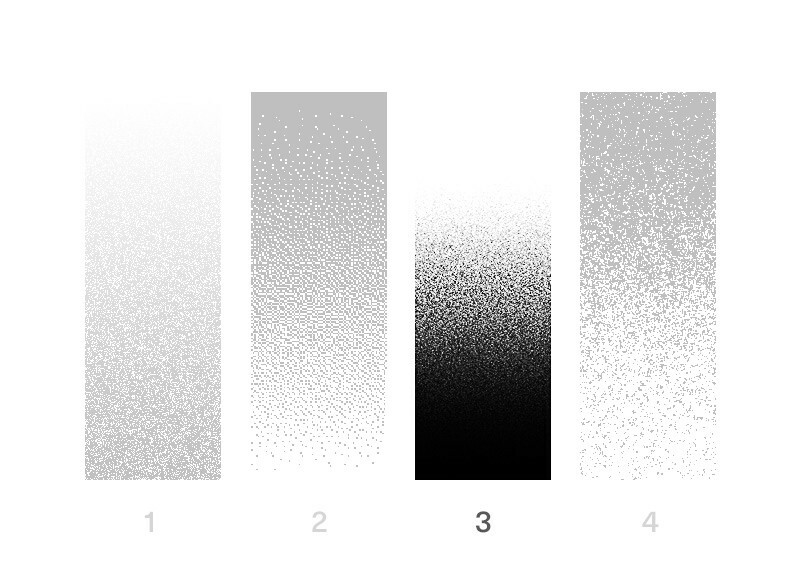 Just to show the difference, I also included the most used and easiest method to create a noisy gradient. The Blend Mode Dissolve (1). As you probably already noticed it doesn’t look very good. There are some applications for this blend mode, but not for the effects we are aiming to create here. One of the coolest method that got a lot of steam in the last year is the use of the Bitmap color mode in Photoshop. There are many different possibilities you can play it with, enough to warrant a tutorial on it’s own. For the sake of simplicity I will focus on one of the simpler ones. This style is commonly used by Graphic Designers and Artists around the world. Photoshop will ask if you really want to do it if you have more than one layer because to convert it it will merge all layers together on one background layer. 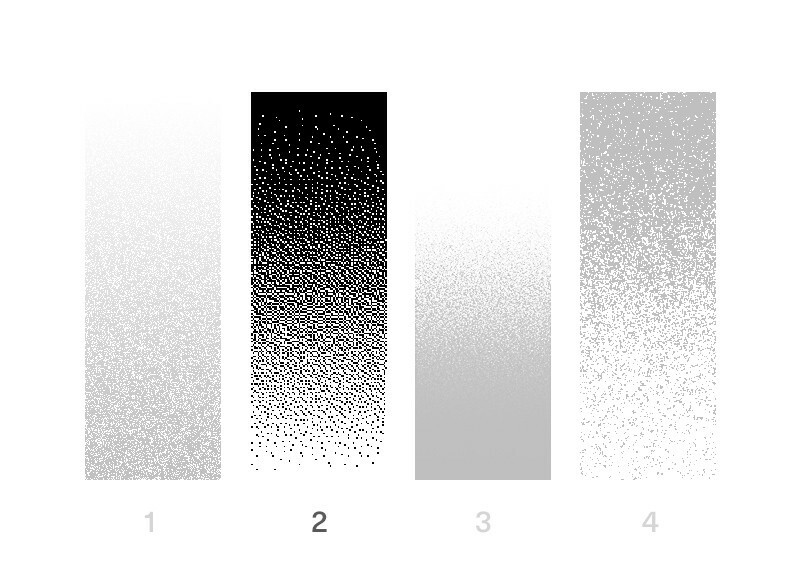 There are a a lot of awesome options but for this tutorial we will use Diffusion Dither. Don’t be afraid to try out the other methods, there are a lot of cool options. You can even create your own texture to use! Now here is the tricky part: You will need to play around with the DPI of the image to get the desired effect. I usually just use a value around 60–75% of the original PPI of the image as it works best for the style I want to achieve. But as always experiment with it and see what works best for you!. This step is really simple. Just go to image size and resize it back to it’s original PPI (in this case I used 300). 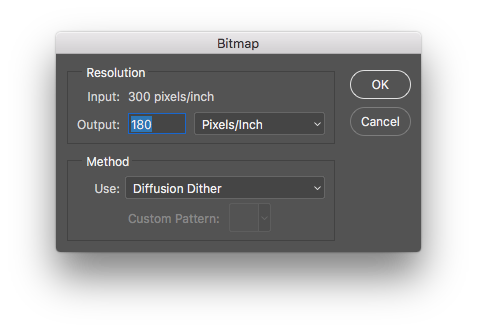 If you do this while still in bitmap mode Photoshop will keep the pixels with sharp edges, if you convert the image back before resizing it the pixels will blur a bit, giving a round effect if you play around with contrast after. There you can play with contrast, different colors, blending modes and generally fit the gradient to your individual design. The Method I used in most of my 36 Days of Type Letters is a bit different than the first one. Here we will play around with the noise filter in photoshop. If you want to add the effect on the whole image, choose at least twice the size of your artboard. If you simply want to apply it to one gradient you can just get the size of that and double it. It isn’t important to match the numbers exactly it just has to be a lot bigger than the original gradient. Twice usually fits well for me as you might run into problems with your computer performance really fast if you create huge images. Make sure the DPI of the new image matches up with your original image. Use a white or black layer and apply the filter noise on full strength and make sure you have the Monochromatic box ticked. As always you can play around with the settings but those are the ones that work best for my personal workflow. This is a really important part as it will make or break the effect. Scale the layer down as much as possible while still covering all edges of your artboard or gradient. The whole trick in this workflow is using noise with bigger detail than the standard one. Now that you’ve done that, set the Blend Mode to Overlay. Others will work too but I most often use that one. Now the only thing left to create this effect is increasing the contrast over the gradient by a very strong margin. I usually use Gradation Curves and just go crazy with them. Voilà, there is your effect. I generally never use the standard noise but always create it first on a bigger image. It just gives a more crisp and detail look. It can be wise to only use this effect on the gradients themselves (which you should always have grouped in a layer by themselves) because the high contrast might make other elements of your project dissapear or generally look not so good. If you want to use this effect with colorful shading you can always start with a black and white one, reduce all the effect layers to one gradient layer, select that and copy that selection into a new canal. 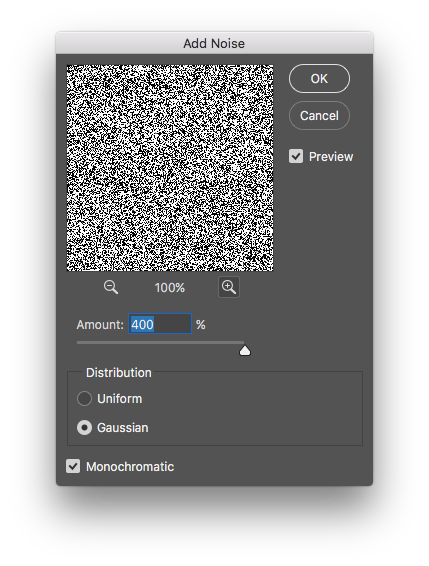 After that, just click the canal while holding down and then you have a selection of the noisy gradient which can be used for any color layers you might have. This method is the easiest one but you also have the least control over it. You simply use the mezzotint filter (Filters>Pixellate>Mezzotint). From there, play around with the settings to create your desired effect. I mostly use the setting “small dots”, however others could work too. As with the other methods, a good trick is to create a new, bigger image with the gradient on it, apply the filter there, move the layer back into your original file and resize it. If you enjoyed this article please leave me a ❤︎, this will show me there is interest in more similar content and I’ll write more of it. Stefan Hürlemann is a Swiss Graphic and Type designer, currently studying at the Zurich School of arts (ZHdK). 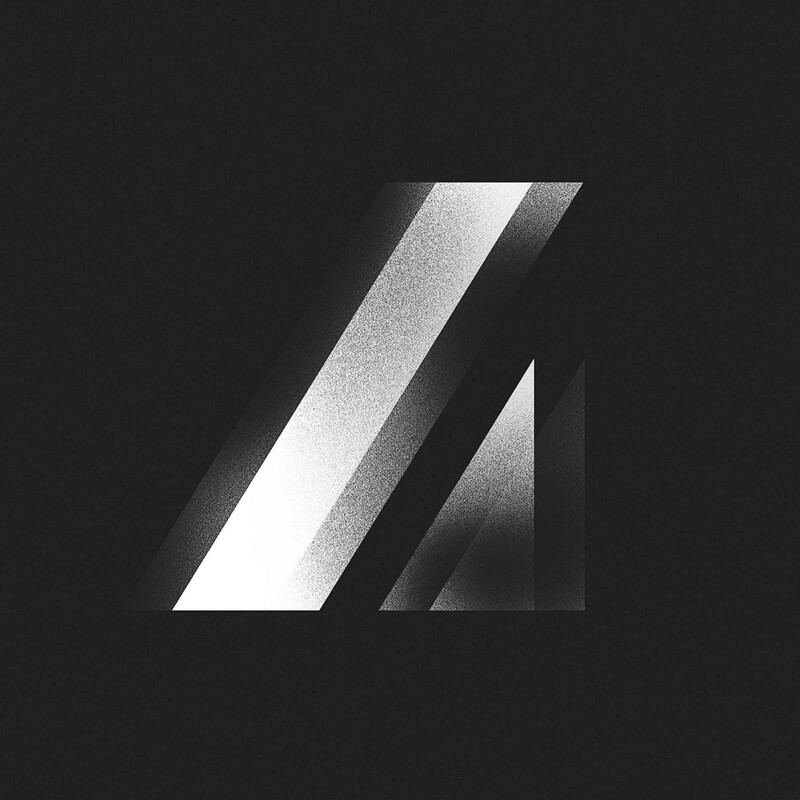 Check out his Website, Instagram or Behance for more of his Work.